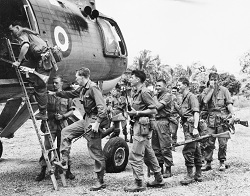 The extensive military collection on findmypast.com.au includes 3.6 million records from Australia, New Zealand, Ireland, Britain and the United States. To commemorate Anzac Day the entire military collection will be available free of charge in the week leading up to Anzac Day - Monday 22 to Friday 26 April, 2013. This comprehensive collection of armed forces and conflict records provide a great resource to assist you in searching for your military ancestors. Discover more about your family's military past and learn more about your brave ancestors' achievements and efforts during wars around the world. The accuracy of military records will help develop essential information for your family tree. It will also assist you in solving puzzles, knocking down brick walls will provide possible starting points for finding birth places and spouses. You could even discover famous figures who served for their country. The advanced search means you can simply start searching with a name, date, place or relevant keyword. Using a keyword such as the name of a battalion for example could prove useful. You can also search specifically in one country or search across the entire international collections. The Australian and New Zealand military collection covers World War I, World War II, the Boer war and the New Zealand Maori campaigns. Some of the useful records include Australian Contingents to South Africa, Australia's Fighting Sons of the Empire (World War I), New Zealanders and the Boer War, the New Zealand Division 1916-1919, New Zealand Wars: Maori Campaigns and Defenders of New Zealand & Maori History and New Zealand WW1 Soldiers. To commemorate Anzac Day the brand new records have been launched to make it even easier for to find your military ancestors at this important time. The new military records include Anzac Memorial, Australasian Imperial Expeditionary Forces Roll of Honour, New South Wales Roll of Honour, New Zealand War Medal Roll and New Zealand Boer War Servicemen. These records add even more depth to your search for your military ancestors. Search the most comprehensive set of British military records available online. Explore dozens of British military records collections containing over 38 military and service record datasets covering the years 1656 to 2005. The records cover World War One, World War Two, as well conflicts such as Waterloo, Trafalgar and the Boer war, and peacetime army lists. Discover officers and soldiers of all ranks, and other servicemen such as RAF, Navy, Marines, and support personnel. Some of the key armed forces and conflict records in this collection include: Chelsea Pensioners' British Army Service Records 1760-1913; Militia Service Records 1806-1915; Soldiers Died in the Great War 1914-1919 National Roll of the Great War 1914-1918-Premiere resource for WWI; and the De Ruvigny's Roll of Honor 1914-1918. If you have ancestors that served in the United States you will discover a wealth of invaluable military records available on findmypast.com.au. Military service and conflict records are accurate and often descriptive records that provide great insight to an ancestor's involvement in historical events that impacted millions of people across the world. The useful military records for the United States include: World War I Draft Registration Cards; Korean War Records; Korean War Casualty Records; Korean War POWs; Vietnam War Records; Vietnam War Deaths and Casualties; World War II POWs; World War II Army Enlistment Records; US Army Casualties, 1961-1981. The Irish military service and conflict collection contains interesting details about Irish involvement in war and rebellions. The rich history and involvement of Irish in military conflicts around the world make for fascinating searching. If you have Irish ancestors that served you will find this military collection useful. The Irish military collection includes The William Smith O'Brien Petition 1848-49; The 1798 Claimants and Surrenders; Ireland's Memorial Record: World War I: 1914-1918; and The Sinn Féin Rebellion Handbook. The Kilmainham pension records were recently released and contain details of over 10,000 Irishmen who served in the British Army in the late eighteenth and early nineteenth century.